Last spring, I graduated from college and began working as a software engineer on the Product team at HubSpot. But a few weeks ago, I switched to the Marketing team, where I now work on SEO and driving leads from organic search and referral traffic. My path is an unusual one, and it puts me in quite a hybrid position. My day-to-day work is much different than it was on engineering – there are no UIs to build or deploys to coordinate. But it also looks much different from the other members of the marketing team – none of them spend all day in Sublime Text and terminal windows. So I’m not exactly a marketer, but I’m probably not what you’d call an engineer. I am: a growth hacker. Unfortunately, a lot of people drowned in the slew of topics and channels he lists and ended up missing the point of the article. 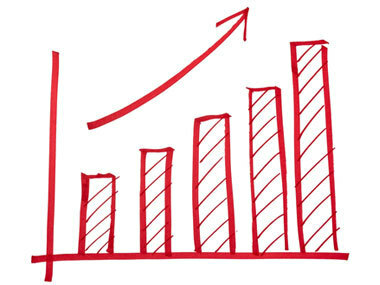 Growth hacking isn’t just a new channel for marketers to use. And it isn’t another worthless buzz word for startups to throw around. 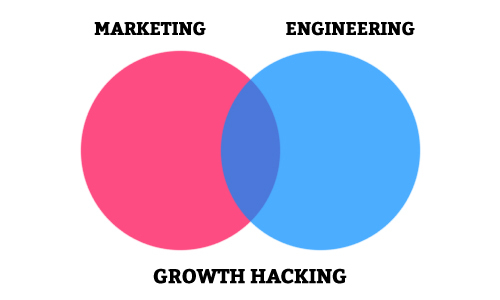 Growth hacking represents the fusion of two fields that were previously discrete. A true growth hacker possesses two separate sets of skills and finds ways to combine them to drive marketing metrics. What Isn’t A Growth Hacker? I think Andrew’s definition would have been much clearer if he had stopped at: Growth hackers are a hybrid of marketer and coder. There’s been a lot of confusion and misinformation around the position, which weakens the community’s understanding of what makes a growth hacker valuable, and why it’s a new position and not just a buzzword for a plain-old marketer. …the noun “hack” also has two senses. It can be either a compliment or an insult. It’s called a hack when you do something in an ugly way. But when you do something so clever that you somehow beat the system, that’s also called a hack. Build Relationships as you pitch. To anyone who has actually spent time in marketing, it’s obvious that these aren’t new ideas. It certainly doesn’t take a new type of employee to execute them. It’s dubious whether they’d even be considered “hacks” at all – it sounds more like marketing best practices, dressed up with a new name. While the internet has ushered in tons of new channels for acquiring customers, marketers as a whole have responded fairly well. The new concept of inbound marketing centers around ways that non-technical marketers can leverage increasingly online buyer behavior to get leads and customers. Optimize your website for search engines. Interact on social media. Blog and create interesting content. Use email intelligently. Track everything and do more of what’s working. These are things that savvy marketers can do thanks to a whole bunch of marketing tools that have sprung up in the last decade. But it’s not necessarily growth hacking. So What Does a Growth Hacker Actually Do? Build tools that drive visits, leads and customers. Dive into our data and find interesting trends and statistics. Automate boring stuff so my coworkers have more time to focus on being awesome marketers. These are all different ways to use code to drive marketing metrics. I should mention the caveat that I work at a 400+ employee company that sells a complex B2B software product. Our marketing team is focused on generating qualified leads that our sales team can follow up with. There is no concept of a user-to-user “viral loop” that most growth hacking seems to focus on. Besides our blog, the biggest source of referral traffic and new leads on hubspot.com is our free Marketing Grader tool. A visitor puts in their website and we do some custom scraping and analysis to give back their site’s “Marketing Grade.” Optionally, we ask for an email address, and allow them to sign-up in order to unlock more analysis. The tool has proved extremely popular, driving hundreds of thousands of visits to our website each month. It’s also very targeted – we’ve seen that referral traffic from Marketing Grader converts very highly into leads and customers. If a visitor provides an email address, we email them regularly with updates to their grade, in order to pull them back to our site. Each recommendation in the report has a call-to-action that encouraged visitors to check out our main website and download our content, which would get them in front of a sales person. It’s a great example of writing code that helps generate leads and customers – growth hacking at its finest. As you’re probably aware, the profession of marketing has become very data driven over the past decade. This is especially true for businesses that drive most of their leads and customers through online channels, where everything can be measured. As an engineer, I think in terms of data – how it’s organized and structured, and how to break down complex relationships into simple, reusable pieces. Thinking about programming as data manipulation was one of the big breakthroughs for me as a Python programmer. By combining and manipulating data from APIs, I’ve discovered all sorts of interesting insights that were largely inaccessible to my coworkers. We not only use these insight to help measure our marketing, but we package the data and use it to create content that helps us drive even more leads and customers. Some of our highest performing blog articles and content offers center around stats that we’ve discovered by diving into huge data sets and using code to pick out patterns. I’m a big believer that everyone should learn how to code. That doesn’t mean that I think everyone should build software – just that everyone should understand how powerful raw computation can be, and how much easier it can make your life. From automating college research assignments to looking up interesting data correlating GDP and Olympic Medal counts, I’ve used code to solve lots of interesting problems that have nothing to do with building software. Unfortunately, not everyone has the time or patience to learn how to code – so I try to find ways to use my skills to help my coworkers be more productive. A great example is a small app I wrote for a coworker that saved her a few hours each week. She was spending a ton of time exporting data from several different tools, reformatting it in excel and then uploading it into another system every week. For me, it was only a few hours to chain together some webhooks, reformat the data on the fly, and automatically insert it into the desired system through a simple API call. Now the data was flowing between systems in real time, and she had a few extra hours in her week. It was a huge win that saved someone a bunch of time, and it felt great. I take a lot of pride in my role. I love trailblazing a new type of career, and I believe the message that “Growth Hacker is the new VP of Marketing” will become increasingly true in the coming years. Sorry to ruin the fun, but growth hacking is here to stay. According to a Gartner report from earlier this year, marketing departments are expected to spend more on technology than IT departments by 2017. And if you follow the startup space, you’re constantly hearing (and dreaming) about “viral growth” and “user acquisition” and the importance of building that into your product. Marc Andreessen wrote that “Software is Eating the World” but I think it’s even bigger than that. People who can write code are eating the world. And right now, we’ve got our sights set on marketing. I love to do marketing, and the fact that I can write code means that I can do marketing in new and exciting ways. Ways that are fundamentally different from how it’s been done in the past. I know that I have a fairly unique background, but I believe it will become more ubiquitous in the next 3-5 years. As more non software engineers learn how to code, we’ll see the field mature into a more widely recognized profession, with its own best practices and literature. I’m excited for the day when every marketing team has someone who can write code.